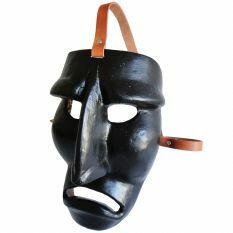 Traditional mask from the carnival of Mamoiada (Barbagia, central Sardinia). 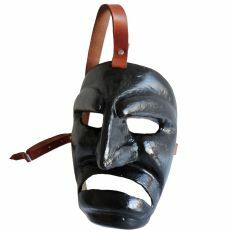 Handmade leather. 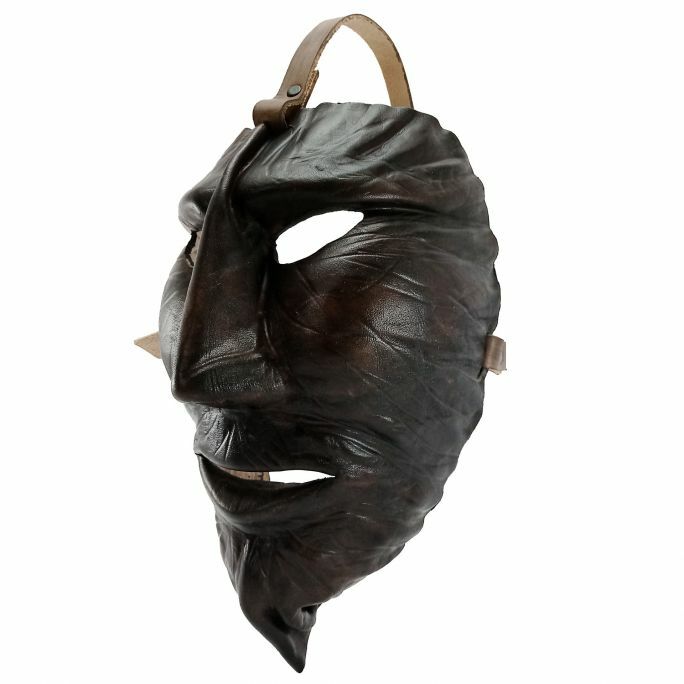 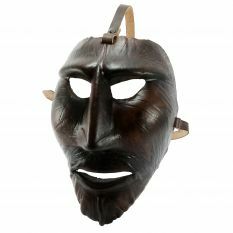 The facemask of mamuthone (visera) is black, secured to the face by straps of leather and surrounded by a handkerchief of women's fashion. 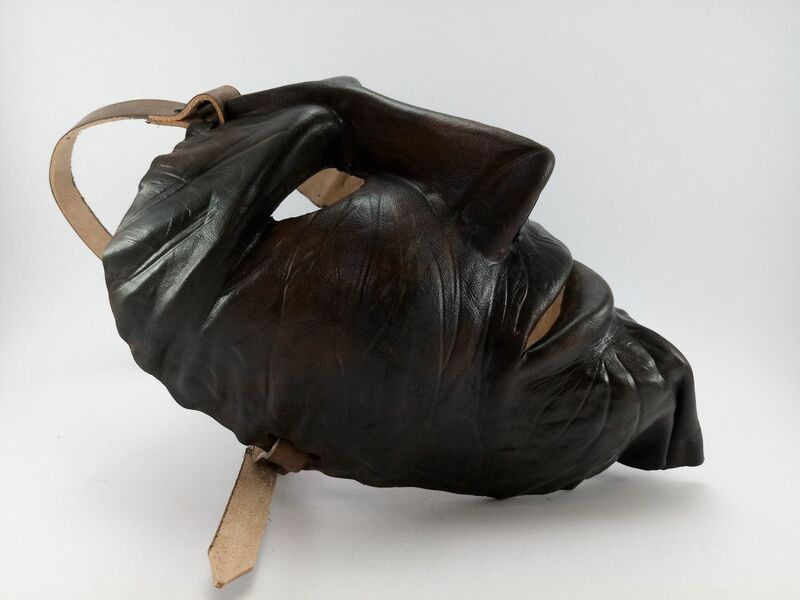 The body of mamuthone is covered with black sheepskins (mastruca), while on the back are arranged a series of bells (carriga). 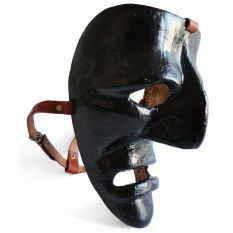 to construct a mask, different materials are used. 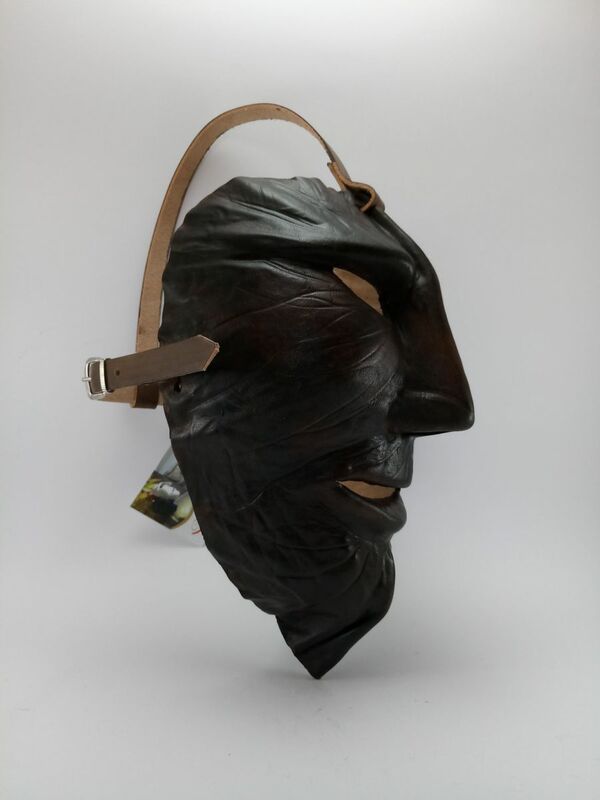 The leather, unlike others, undergoes the passage from the animal world to the inorganic world, but nevertheless continues to live. 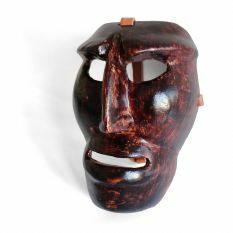 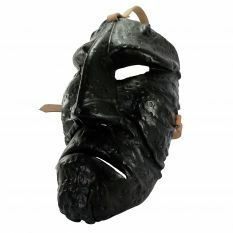 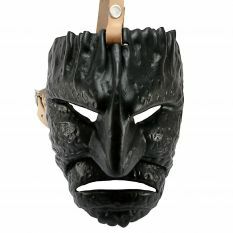 The mask comes from ancient rituals, from rites of fertility and purification from evil. 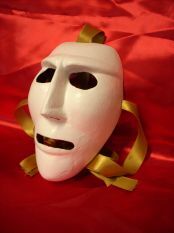 In every renewal party, the cycle of rituals can only begin with the elimination of the old. 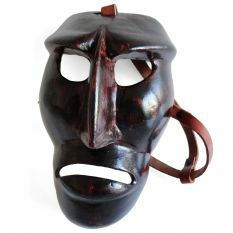 The leather belonged to an animal that, sacrificing itself, reincarnates in a mask. 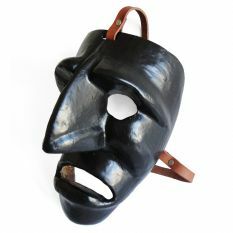 The mask, in symbiosis with an actor-body, will rise again.